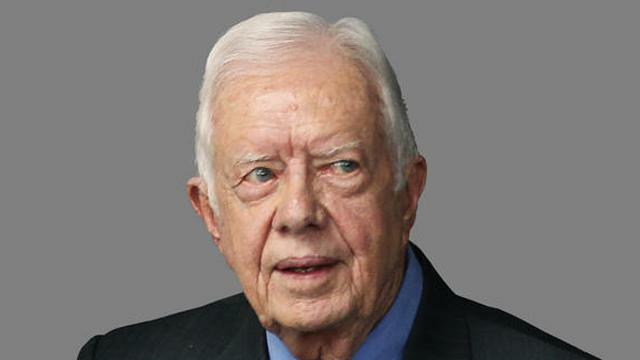 Famously a staunch, conservative Christian, US President Jimmy Carter has recently publicly distanced himself from the Southern Baptist Convention over the stance on women in leadership in the church. His statement is very interesting. Read it in full here, or an extract below. I HAVE been a practicing Christian all my life and a deacon and Bible teacher for many years. My faith is a source of strength and comfort to me, as religious beliefs are to hundreds of millions of people around the world. So my decision to sever my ties with the Southern Baptist Convention, after six decades, was painful and difficult. It was, however, an unavoidable decision when the convention’s leaders, quoting a few carefully selected Bible verses and claiming that Eve was created second to Adam and was responsible for original sin, ordained that women must be “subservient” to their husbands and prohibited from serving as deacons, pastors or chaplains in the military service. A picture of women: from the Bible? or from 1950s American suburbs?